National CineMedia (NCM) Launches Noovie Pre-Show In Movie Theaters Nationwide | National CineMedia, Inc.
CENTENNIAL, Colo.--(BUSINESS WIRE)-- What's Noovie? Audiences will soon find out when National CineMedia (NCM)'s new Noovie pre-show launches on over 20,600 screens in 1,700 movie theaters throughout the U.S. this weekend. 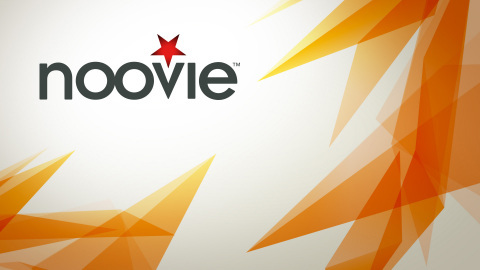 Noovie is focused on leading moviegoers to what's next in entertainment. Reimagined for today's movie audiences, Noovie will replace NCM's FirstLook pre-show in top theaters across the country including AMC, Cinemark, Regal Entertainment Group, and 49 other regional and local theater chains. Entertaining content is a core element of Noovie, and NCM will be programming an exclusive Noovie content pod in the show that will give audiences a look at "what's Noovie" in their world, including movies, music, local and more. The Walt Disney Studios has signed on as the premiere studio for new Noovie Backlot segments through June of 2018, and will offer a unique behind-the-scenes look at upcoming films from Disney, Pixar, Marvel Studios and Lucasfilm including Coco, Star Wars: The Last Jedi, Black Panther, A Wrinkle In Time, Avengers: Infinity War, Untitled Han Solo Star Wars Anthology Film and The Incredibles 2. The first Noovie Backlot segment for Disney-Pixar's Coco will feature a real-life Xolo dog going on an adventure at Pixar studios - playing catch, making friends, grabbing lunch, and living his best life - just like the animated Xolo dog Dante in the film. "We're excited to expand our relationship with NCM," said David Sieden, VP Cinema Partnerships for the Walt Disney Studios. "There is no better showcase for our studio content than the big screen, and Noovie Backlot is a fresh way to give fans a fun and exclusive look at our slate of upcoming films." Noovie Soundcheck, an exclusive, cinema-first music series in partnership with Sony Music Entertainment's Rumble Yard that gives fans a glimpse into those unscripted, unrehearsed moments with the band before the concert crowds arrive, is also premiering in Noovie in October. The first segment will feature Foo Fighters, filmed during the soundcheck for their recent Landmarks Live In Concert show shot at the Acropolis in Greece. As it continues to evolve, Noovie will feature fun games including Name That Movie trivia and Fantasy Movie League, an experience that combines the fierce competition of fantasy sports with the insanely popular world of entertainment and movies. NCM's new Noovie pre-show will also continue to showcase entertainment content from ABC Networks, Amazon, Disney, Google, Hulu, Nintendo, NBC, Toyota, Turner Broadcasting System, and more, along with national, regional and local advertising. "Noovie gives movie audiences a reason to arrive early to discover what's next, and will soon go beyond the big screen with new Noovie digital properties that deliver entertaining content, purposeful commerce, and interactive gaming opportunities for movie audiences," said NCM's CEO, Andy England. "Now is a great time to go to the movies." Get to the theater early to catch Noovie on the big screen, or see what's Noovie on Facebook (http://www.facebook.com/WhatsNoovie/), Twitter (http://twitter.com/WhatsNoovie/) and Instagram (http://www.instagram.com/WhatsNoovie/). To find a Noovie theater near you, click here. National CineMedia (NCM) is America's Movie Network. As the #1 Millennial weekend network in the U.S., NCM is the connector between brands and movie audiences. According to Nielsen, more than 750 million moviegoers annually attend theaters that are currently under contract to present NCM's Noovie pre-show in 49 leading national and regional theater circuits including AMC Entertainment Inc. (NYSE: AMC), Cinemark Holdings, Inc. (NYSE: CNK) and Regal Entertainment Group (NYSE: RGC). NCM's cinema advertising network offers broad reach and unparalleled audience engagement with over 20,600 screens in approximately 1,700 theaters in 187 Designated Market Areas® (all of the top 50). NCM Digital goes beyond the big screen, extending in-theater campaigns into online and mobile marketing programs to reach entertainment audiences. National CineMedia, Inc. (NASDAQ: NCMI) owns a 48.8% interest in, and is the managing member of, National CineMedia, LLC. For more information, visit www.ncm.com. Noovie logos and artwork can be found at http://press.ncm.com/images-logos.